1. Gratitude can ease the stress of work. According to the American Psychiatric Association, randomized controlled studies have demonstrated that practicing daily gratitude has been found to counter occupational stress, while also leading to decreased feelings of depression and anxiety. Rather than focusing on what went wrong on your last call, reflect with your crew on any positive results or shared successes of the response effort. 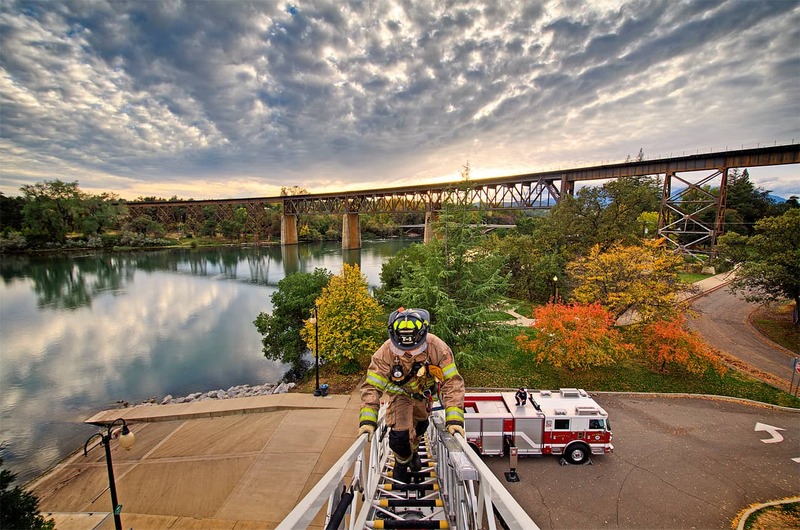 Focusing on the big picture of what drew you to the fire service in the first place — the opportunity to save lives and keep your community safe — may help offset the acute stress of day-to-day challenges. 2. Gratitude boosts resilience in overcoming trauma. As a fire fighter or paramedic, you are routinely exposed to disaster and loss in the communities you serve. A study published in Behavior Research and Therapy found that war veterans with higher levels of gratitude experienced lower rates of post-traumatic stress disorder. These findings were consistent with a 2003 study published in the Journal of Personality and Social Psychology, which found gratitude to be a key protective factor for individuals who witnessed the September 11 terrorist attacks. Finding one thing to be grateful for, even in the midst of trauma and devastation, can be the difference between psychological recovery and prolonged stress reactions. 3. Gratitude makes you healthier. Research has demonstrated that practicing daily gratitude has been linked to lower blood pressure, lower levels of the stress hormone cortisol and higher rates immunity. One explanation is the experience of focusing on positive emotions (appreciation) helps activate the parasympathetic nervous system or the “rest and digest” response, which directly counters the body’s “fight or flight response” responsible for increased heart rate, blood pressure, respiration and stress hormones during moments of perceived danger. The daily support of your crew, family and friends can make the difference between a long, rewarding career in the fire service or a premature burn out. Routinely expressing gratitude to your crew members and spouse creates a chain reaction of positive feelings and reciprocal act of kindness, which helps to strengthen social bonds. Whether it’s at home or at the firehouse, take a moment to say “thank you for…” to reinforce positive connections in your relationships. 5. Gratitude helps you sleep. After working a 24- or 48-hour shift, it’s extremely important to catch up on your rest. Two independent studies published by Applied Psychology: Health and Well Being and the Journal of Psychosomatic Research similarly concluded that those who express gratitude before bed have more restorative (and longer) sleep. Instead of watching television before falling asleep, spend a moment to write or chat with your partner about what you are grateful for.